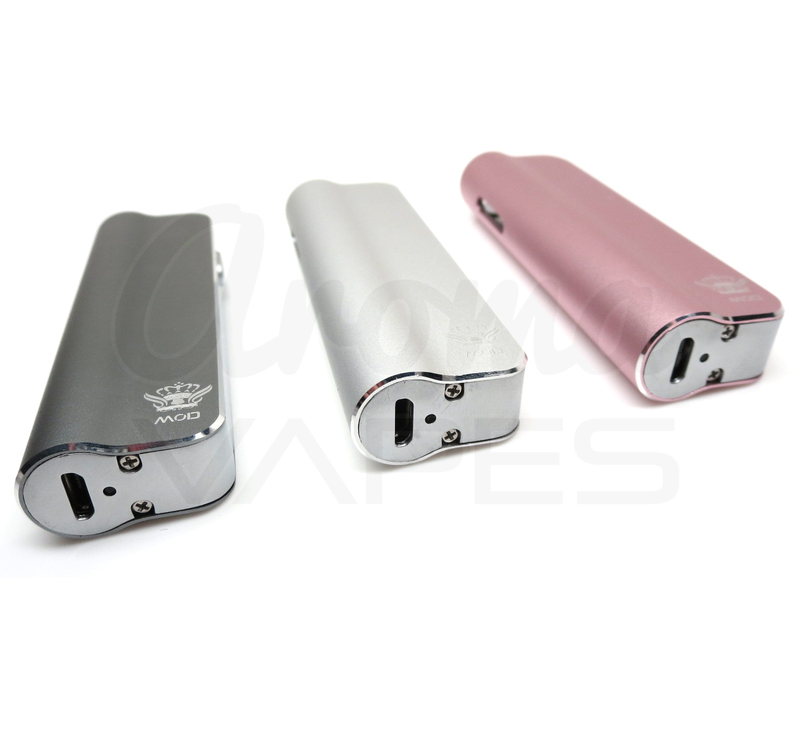 The BudMod by Buddytech is a slim, stylish multi-setting cartridge battery with a high quality build and luxury feel that is designed to fully conceal and protect attachments up to 1.0mL. 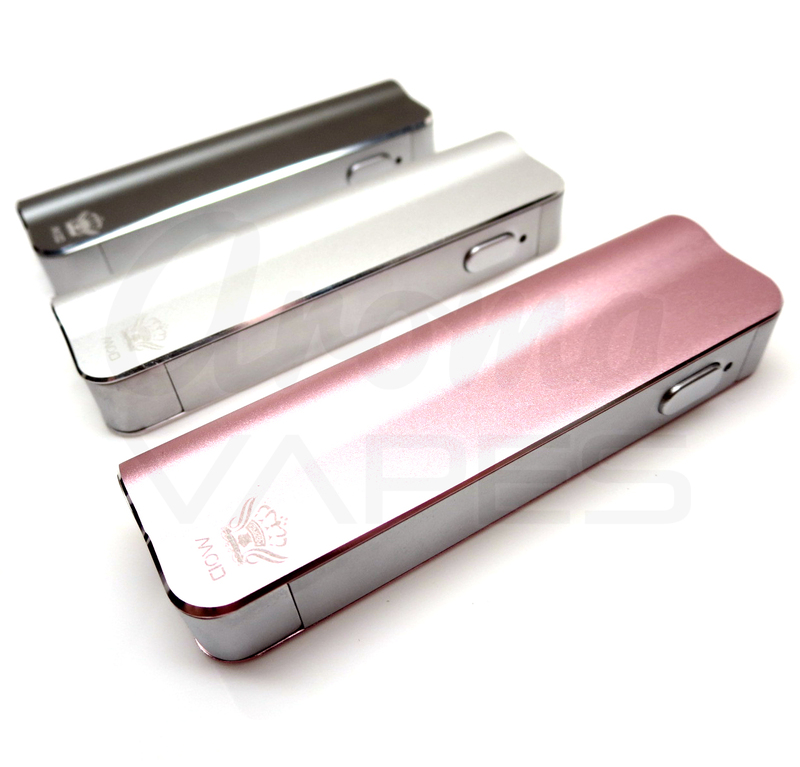 Measuring at just over 3 inches tall by about an inch wide, and around just half an inch in thickness, the BudMod's compact construction provides almost unrivaled portability in a battery for cartridges. 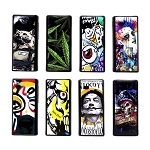 What truly sets the BudMod apart, aside from its small footprint, are its build quality, stylish design, and multi-power setting functionality (variable voltage). 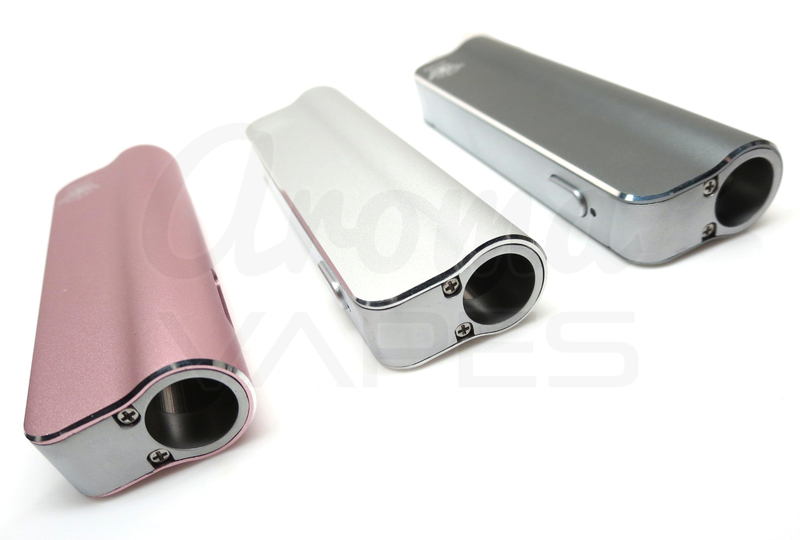 For starters, the BudMod features an ultra-durable aluminum alloy exterior with a sleek, refined appearance and a solid feel in the hand that is currently unmatched in its category. This versatile device makes the perfect companion, whether for a quick break at work, a night on the town, or day off at the beach. 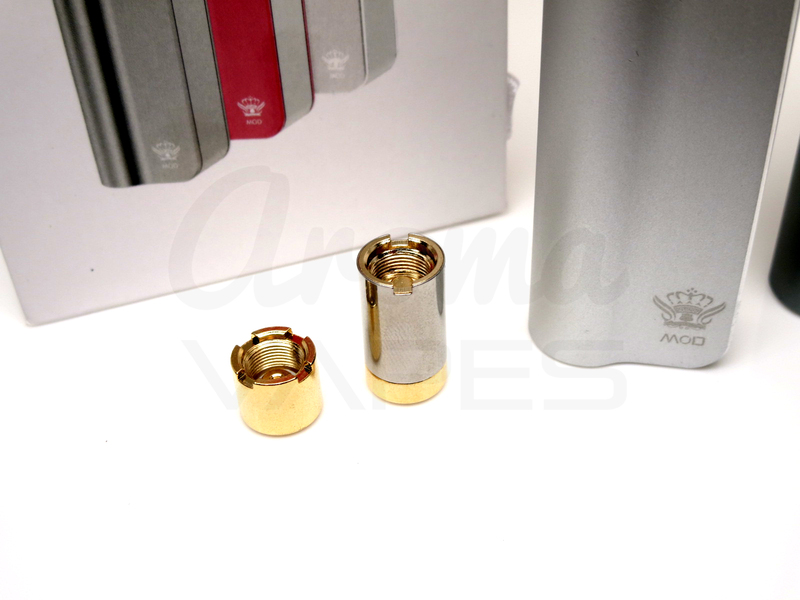 For ultimate convenience, your new buddy comes equipped with both a "short" and "tall" 510 threaded magnetic adapter. The connector rings allow for use with any compatible 510 thread heating attachment at or under 9.6mm in diameter (width). 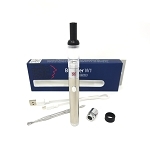 The tall adapter is used for smaller cartridges such as 0.5mL, while the short adapter is used for larger cartridges of 0.8-1.0mL, each one ensuring that the cartridge or tank being used can reach the correct height. Whether your attachment is for thin essential oils or thick, concentrate, the BudMod can handle whatever you throw at it. 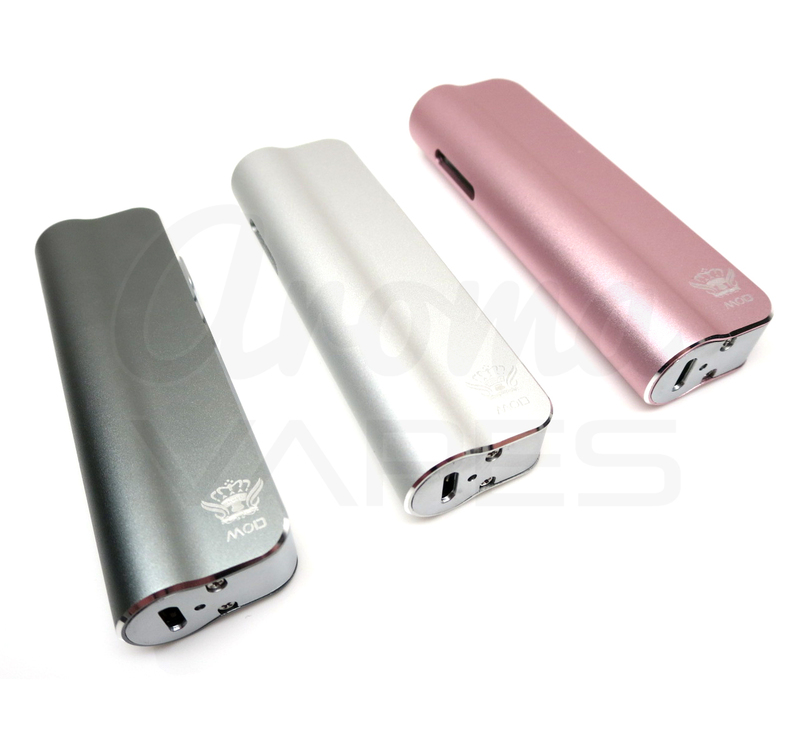 The Buddy BudMod is powered by a rechargeable 390mAh lithium-ion battery with smart single button operation. 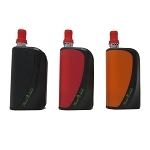 It comes equipped with four preset power voltage output levels that have been optimized to accommodate most standard cartridges on the market. After unlocking the BudMod by quickly tapping the power button 5 times, just tap the power button three more times quickly each time you want to adjust the power/voltage level preset. Each time the power level is changed the LED light indicator's color will change to signify the change in output. Since the presets are based on a percentage of battery power, the following are approximations: Blue is the lowest setting at about ~3.3V, then green at ~3.6V, followed by orange ~3.9V, and finally red ~4.2V - which is the max power level. Most standard cartridges will work best on the green or orange setting. 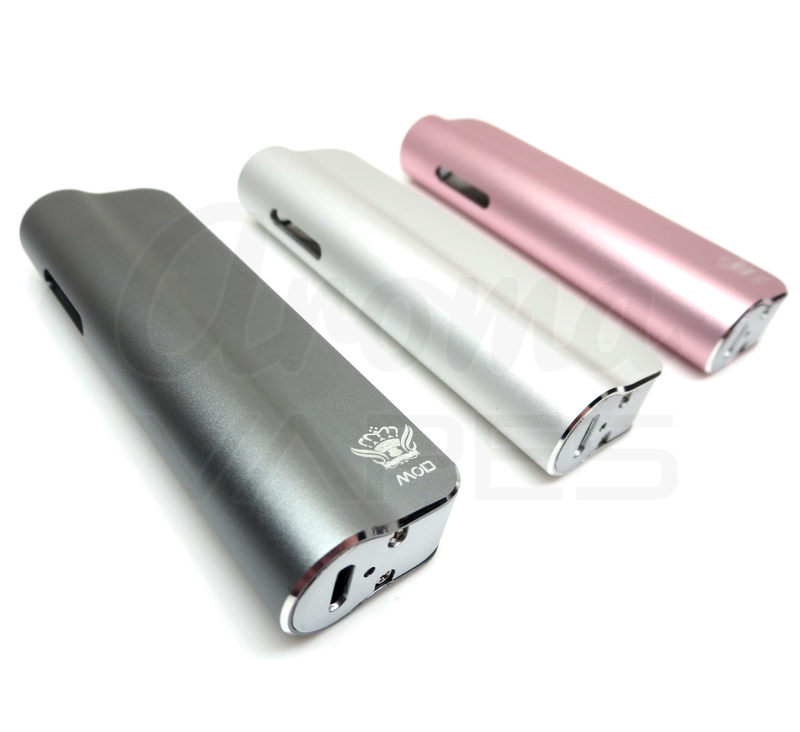 When the BudMod's charge gets too low, the LED light indicator will quickly blink 10 times to ensure the user knows when it is time to plugin to recharge. After three low-voltage notifications it will automatically lock/shut off until unlocked or recharged with the included USB cable. Once the charging process has begun a bottom LED light will shine red and turn off when you have achieved a full charge in around 1-2 hours. This feature-rich gadget also features a user-friendly viewing window on the side that making it easy to see how much is left in your cartridge at a glance. When stealth, style, and quality ALL matter, treat yourself to the Budmod from Buddy Tech and experience a better way to enjoy your oils and concentrates.